Let's Just Build a House! : Siding. We came back from vacation Saturday afternoon. And the first thing we did was pick up this fella from Adam's parents' house. Farm dog for a week. We went out to the house first because it was killing us. We usually stop out there every evening to see the progress. So we were anxious to see a weeks worth. We have siding folks! 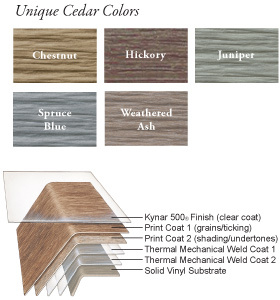 In this post we were having a hard time deciding which siding to choose. We went with the weathered ash. I was so nervous to see what it would actually look like on the house. We didn't want it to be too grey. We didn't want it to be too tan. We wanted a little brown peeking out, just like in the sample. I think it works well with the brown trim. Where you see pink. You will later see stone! They also worked on the front porch and the back deck. Back deck has same ceiling. There will be a ceiling fan installed and the lights will be on a dimmer. Diagonal look for the wood...now to pick out a stain finish! And railings and steps. We need those too. It's so hard to tell from the photos, because the color looks beautiful in person. Can siding really be beautiful? Anyways, now we have to pull the trigger on the stone. We think we have some picked out, but we just have to give the final okay. The exterior stone and the fireplace stone is going to be one of our huge DIY projects, with the help of my dad. Stay tuned, lots more updates coming! Do you think we made the choice on the siding? What do you think about a TV on the back deck? I think you made a great choice for the siding! And honestly, my guy would totally install a tv on the back deck if we had one. With surround sound, no doubt. I don't think I could ever convince The Husband to put a TV on the deck (craziness, right?). It would be really fun to have outdoor movie nights though! Lol, I think he put it out there for CUBS games. But I can see myself watching some lifetime out there too! I'm really happy with the diagonal too. We didn't specify before we left for vacation so they just did it and we love it! You got a new follower for sure!! YAY!!! I love finding others who are building homes too. Thank you for finding me! I am sure we are a little annoying always stopping by and taking photos and pointing and things and asking questions but WHATEV. It's our house!! Going to check out your blog right now! a tv on the back deck? girl, i would never leave the house!!! Ooooh it's really making good progress! This must be a super exciting stage for you. Love the diagonal on the deck. Your house is so gorgeous! I can't wait to see it with the stone. I absolutely love the ceiling on the deck and patio. It IS perfect! I'm loving all the choices you've made so far. The stone will be beautiful too! 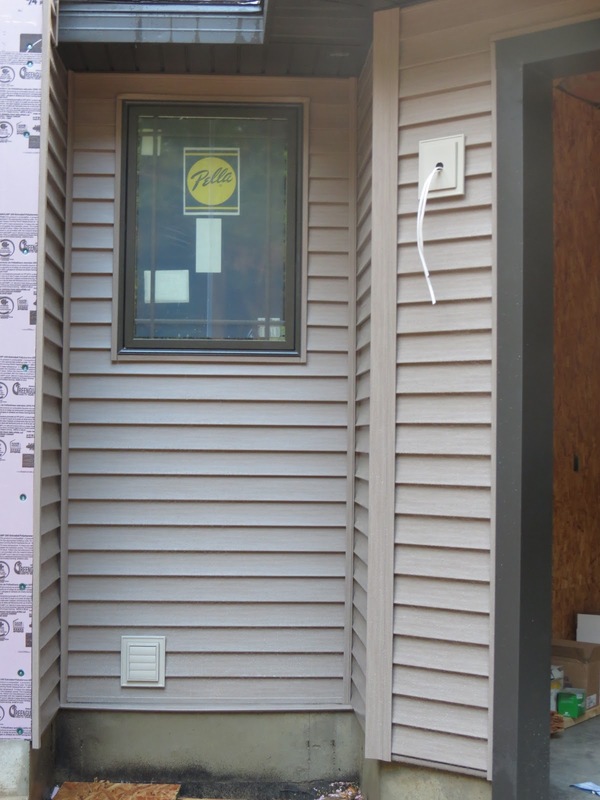 really nice siding same as hardiplank siding houston that also looks good if done in wood type but anyway this post is readable and enjoy viewing the pictures. Good choice on the color. I’m just curious if the siding comes with insulation since insulation is critical to keeping the weather outside and the pleasant atmosphere of your home inside. 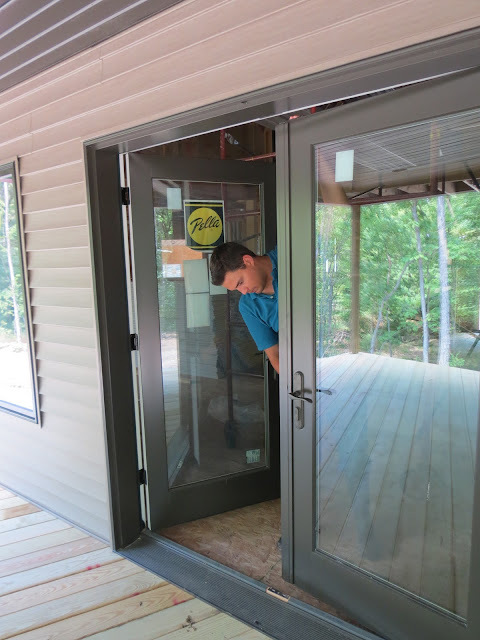 Some types of siding come with special insulation, but they do cost more. cody there are some types that come with insulation and this is not one of them. I am unsure of the cost difference. 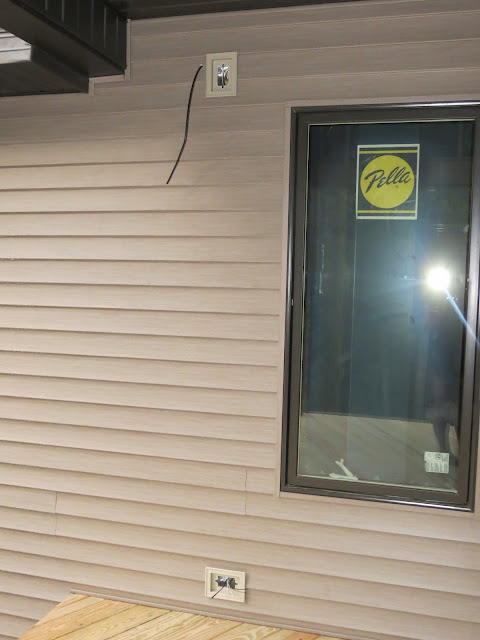 We didn't go with a basic siding, we went with an upgraded kind, so I am not sure where the cost ended up. On that note, I would like to ask why you preferred the weathered ash despite its lack of insulation feature. I was just curious. This is one task that needs careful consideration. Anyway, I think you picked just the right color. Nice! It has that warmth you could see in cedar. I think it would be perfect if you use weathered ash floors inside as well. Great choice with the doors. The glass looks thick enough, and would definitely let natural light pass through. The metal frames are enough and would definitely protect you from any weather condition that you experience in your area. Installing vinyl sidings can certainly add beauty to your home. Colors are available in over 400 blends, and that means you won’t have any trouble choosing the right color for your home. And based on what I see in the pictures, the siding color you picked is definitely suited for it. It looks good with the brown trim of your house. At first glance, I really thought the sidings were gray. I thought the colors were too plain and didn’t blend well with the roof. Upon closer inspection, I was completely blown away! The sidings do have a hint of brown, which made it a bit edgy. I’m impressed. Can’t wait to see it when it’s done! Awesome place! How many bedrooms does it have? I've always dreamed of having a house in the middle of the woods and something like this is just as perfect! The sidings are great! I really like it's color. It's a good thing that sidings have a variety of color choices that allows people to be very specific on what they want. The front door and porch ceiling are also very attractive. The porch ceiling even has a great design. And I really have to say that I am loving the wide glass doors!